If you are an attorney or otherwise sophisticated in the law or business, you read the headline above and say, “Duh.” Of course the Baltimore’s biggest law firms serve businesses. Same is true everywhere for that matter. But not everyone knows this simple fact. Law firms and lawyers are arguably far more important to individuals than they are to corporations. But for the same reason that Willie Sutton robbed banks, law firms cater to business – that’s where the money is. 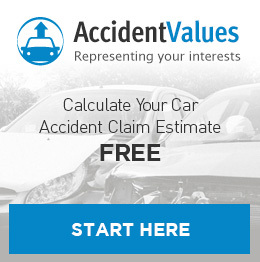 It’s important for those hurt in an accident to get it. There are an army of lawyers ready to go after you, not quite as many ready to shield you in your time of need. Of Baltimore’s 25 largest law firms, only three are generally designed around serving individuals. These include Peter Angelos’s firm, Steve Silverman’s firm, and Sid Friedman’s firm. Only Peter Angelos’s firm really only represents individuals. Granted, quite a few of these largest Baltimore firms serve individuals in that it’s wealthy individuals who own wealthy corporations. The wealthy and their business interests can seldom be completely separated. Therefore, a number of these large firms have high-end estate planning practices and/or wealthy individual tax practices. Of the 25 biggest firms in Baltimore, there were 1,536 total lawyers in the Baltimore area offices. Only 136 of them worked at the firms that primarily serve individuals. More astonishing – the big firms employ, in all, 9,746 lawyers in all offices. Only 144 of these nearly 10,000 lawyers worked at the firms that primarily serve individuals. 1.46% of all the attorneys work with firms that primarily serve individuals. Wow. Of the 15 largest firms, almost half have a concentration in insurance defense. The seventh largest firm is primarily a workers’ compensation defense firm. The 13th largest has a huge presence in workers’ compensation defense. There isn’t a single firm handling workers’ compensation for claimants. (Peter Angelos’s office might have a lawyer or two doing claimant workers’ comp.) 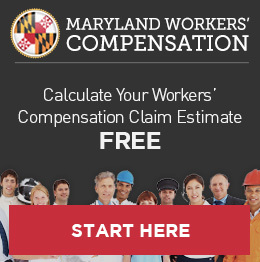 Not one of our list of workers’ compensation lawyers in Maryland is on the list of largest firms. Of the top 50 firms in Baltimore, only two are personal injury firms. Peter Angelos’s firm and Salsbury, Clements, Bekman, Marder & Adkins. I’d like to credit Baltimore Business Journal for the list of largest Baltimore firms. I have numerous opinions on the above. I will let the facts speak to you however you deem fit, though. The Judiciary is for Sale in My America? ?